Q: The screen “zooms in”. When I attempt to input a measuring scale the screen “zooms in”. Can you tell me how to fix this problem. Your quick response is appreciated. I use the software almost daily in my construction business it is a great product. Re: The screen “zooms in”. I guess you use Windows 8.X or 10. It seems that you have changed your display scale to 125% or more. 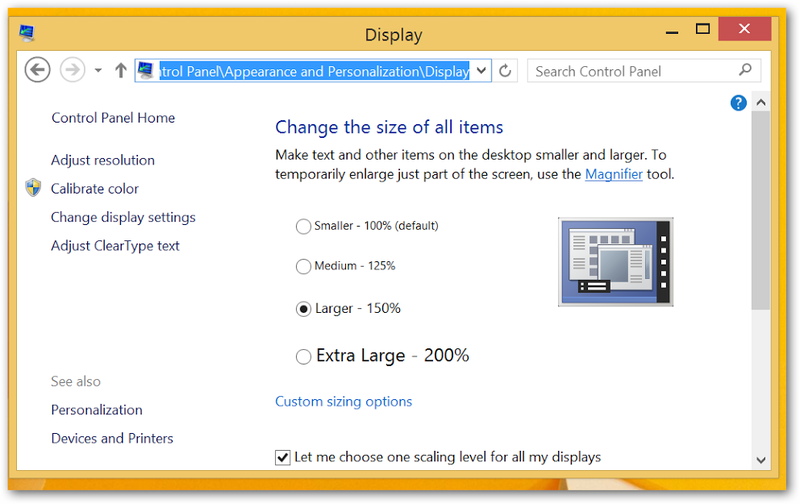 [UPDATE 28.11.2017] New Universal Desktop Ruler version 3.8 works fine with different display scales.